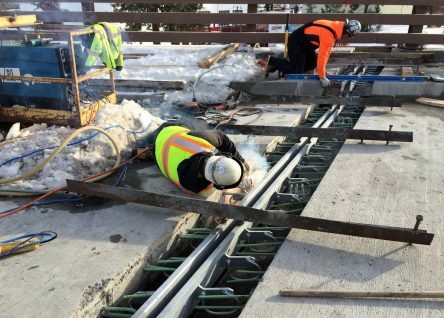 Working outside during the winter months can be extremely hazardous. Keep these tips in mind when you’re working outside to avoid frostbite, hypothermia and other cold-weather injuries. 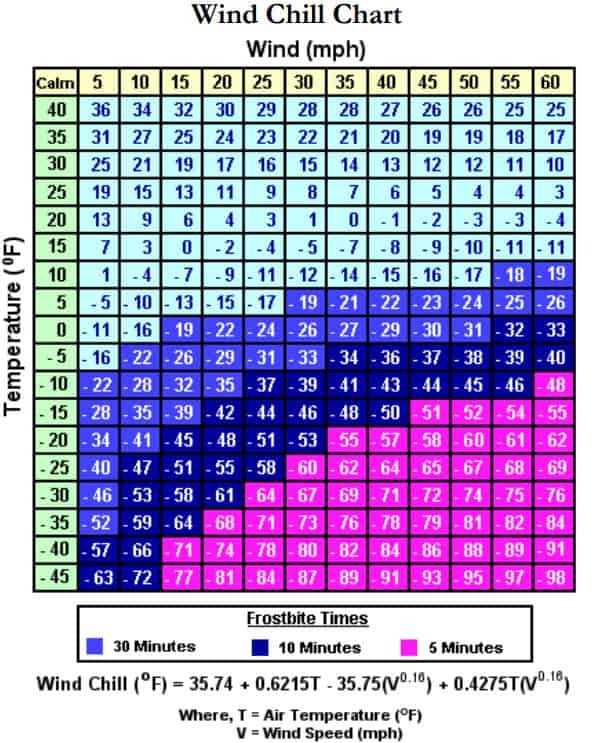 Hypothermia is a potentially fatal condition caused by loss of body temperature. For example, exposed skin can start to freeze at just 28 degrees Fahrenheit (-2 degrees Celsius) and deep frostbite can cause blood clots and even gangrene. Symptoms include fatigue, nausea, confusion, lightheadedness and profuse sweating. Without medical treatment the victim can lose consciousness and die. Gloves should have enough insulation to keep you warm and prevent frostbite, but be thin enough so you can feel what you are doing if you are manipulating controls or tools. Gloves which are too thick can also make your hands and wrists work too hard trying to hold on to objects, causing possible repetitive strain injury. Layers of light-weight clothing keep you warmer than a single layer of heavy clothes. Remove layers as necessary to prevent overheating and perspiring which can lead to chills or hypothermia later. Wet clothing is 20 times less warm than dry clothing. Wear a hat. As much as half your body heat can go up in steam off the top of your head. Protect your ears from frostbite (wear a hat that will cover your ears or use ear muffs). Check your winter wardrobe for entanglement hazards such as scarves, loose sleeves, and dangling drawstrings. Basically, anything that could get caught in rotating machinery. Keep your safety eyewear from fogging up in the cold. Use anti-fog coatings and wipes that are appropriate for your eyewear. Look at the soles of your winter footwear. Your shoes or boots should have adequate tread to prevent slips and falls on wet or icy surfaces. Slow down when walking across slippery surfaces and be especially careful on ladders, platforms, and stairways. This does not mean a high fat diet, but one with enough calories and nutrients to give you the fuel you need. Always start with a hearty breakfast. Get plenty of rest. Working in the cold and even traveling to and from work in the winter takes lots of energy. Be sure to pace yourself when shoveling snow. Did you know that 70% of deaths during snow or ice storms occur in vehicles? It pays to carry blankets or sleeping bags, matches, candles, a snow shovel and sandbags, a flashlight, and non-perishable food such as cereal bars, in case a winter storm sidelines you in your vehicle.